Let Mozart Moving take care of the details. Mozart Moving is the most trusted name in the Boston and New York areas for complete home and business relocation services. No matter your needs, our customized professional moving services can help make your move a breeze. Whether you’re moving across the Boston area or moving across country, we take pride in handling all of your packing, moving, and storage needs. 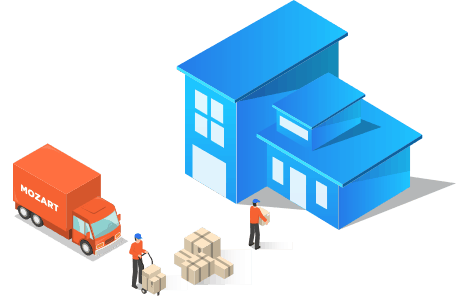 Mozart Moving understands the Boston area and specializes in all relocation services you need to make your move within the Boston area a breeze. 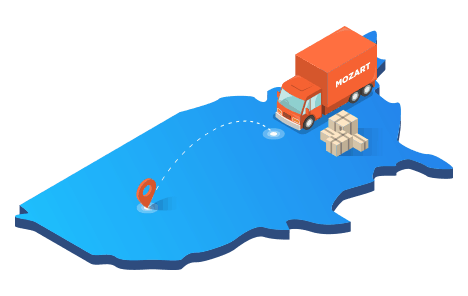 No matter where in the U.S. you’re planning to move, Mozart Movers provides dependable, professional, and affordable long-distance services to keep your items safe throughout the journey. 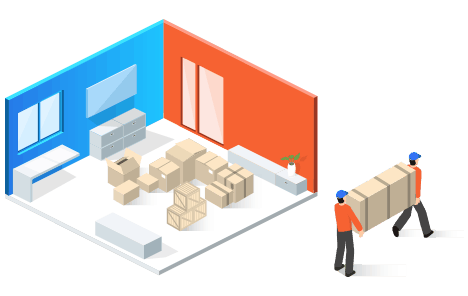 Whether you need help with packing just a few things or your entire home or office, we’ll take great care packing and protecting even your most delicate items. From short-term solutions to long-term secure storage needs, we have provided safe and secure flexible storage options in Boston area for years. 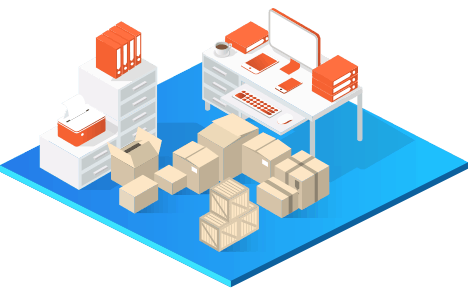 Our flexible, professional full-service relocation services are available to move your Boston-based office at a time – day or night – that works for you. 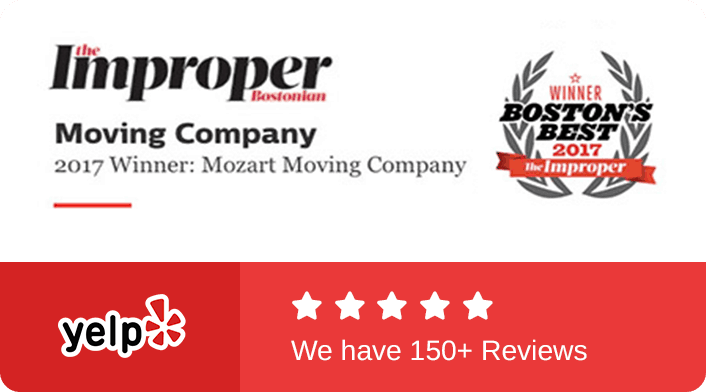 Let us show you why Mozart Movers is your trusted choice for Boston-based relocation services. We strive to exceed every customer’s expectations! Mozart was unbelievably professional. They handled my items with such care, while still working incredibly efficiently. They made my move so effortless and anti-stressful on my end. They were very responsive over the phone as well and catered to all of my needs. My move ended up costing well below my quote which was an added bonus. The two gentleman carried my large items up narrow and oddly shaped staircases with no problem, they made it look too easy. I highly recommend this company! Mozart Moving was INCREDIBLE. From start to finish this team was top notch and made our move from Jersey City, NJ to Boston, MA seamless. 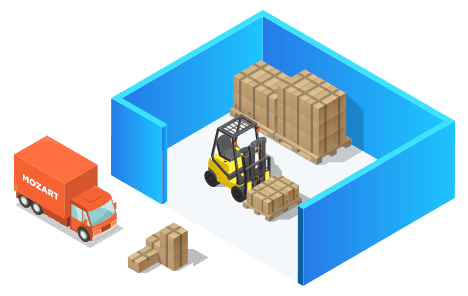 Their modern and efficient website makes it super easy to request a quote, to identify all of the items that need to be moved, and request any add-on services. I had a few questions throughout the process and I received replies almost immediately. I will 100% be using Mozart Moving for any move in the future. Save yourself a lot of time and a headache looking for professional movers and just hire Mozart. If there was a way to give these guys 100 stars I’d do it in a heart beat. 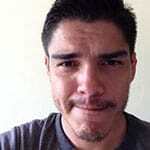 Outstanding, professional, courteous, efficient movers and a very competitive price. We had a complex move today (Saturday 10 November) with multiple stops. Mozart handled everything without a hitch, and in fact they helped us with some furniture assembly…heck, they did more than help, they did the assembly! Mozart Moving is superb. These guys should get Best of Boston forever. I could not recommend a moving company any more than I do Mozart Moving. A+++++++++++, 500 stars. The guys from Mozart made my moving from Woburn, MA to Astoria, NY as easy as it can get. I was having problems even finding a moving company that would move my stuff at the end of August since it’s the busiest time for them, but the guys from Mozart had no issue with it and were able to schedule me for Labor Day weekend. They were very punctual and had the apartment packed and loaded into the truck in less than 1 hour. They were extremely efficient and careful with all our furniture and worldly possessions. Mozart Movers were so helpful and easy to work with! I moved from South Boston suburbs to Brooklyn NY. They helped a stressful process feel like clockwork. They did my move over two-day period. First day they picked up my stuff in Boston. I have a tricky driveway, and they were able to maneuver the van without trouble. They were so kind and helpful when they picked up my boxes. And fast! When getting to New York, they were early and moved all my things in record time. The price was really reasonable, and they discount if you pay in cash, which is always a plus. Mozart Moving were fantastic and very friendly. They showed up on time and finished ahead of schedule. Their online checklist calculates your move and allows you to get an accurate account of everything. We were impressed their truck was so clean, unlike many moving companies. They took the time to wrap the big furniture fully for protection. After they had finished unpacking they were sure to ask if we needed anything relocated on site so we didn’t have to move anything heavy around after they left. I would HIGHLY recommend Mozart Moving for your next move! Our affordable long-distance services will relocate your belongings safely.